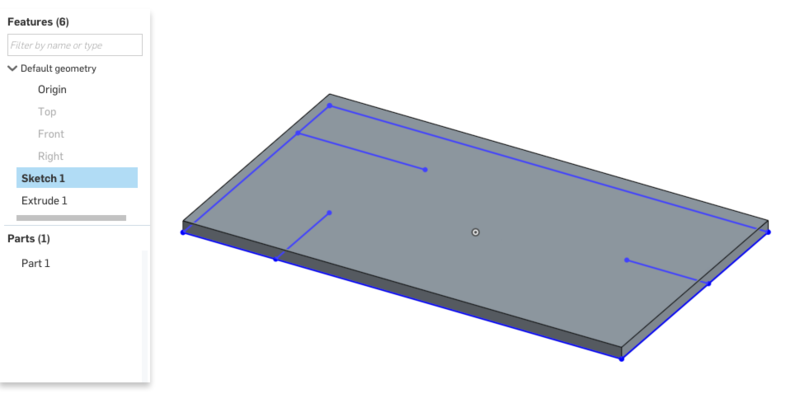 In this series of tutorials, we will create a slot feature, designed for joining two laser-cut parts. 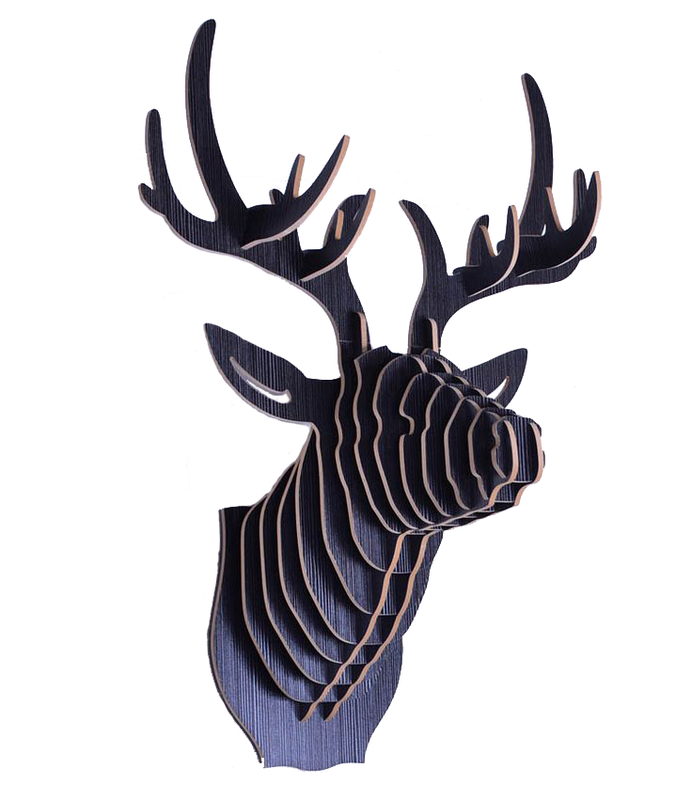 Eventually, we will use this feature to make large assemblies of laser-cuttable parts which are joined with slot features. The slot feature is just one example of what FeatureScript can do, but each tutorial in the series introduces concepts which can be applied to a wide variety of features. Interface control: With FeatureScript, we can fully specify the feature dialog interface, and optimize the workflow. In this tutorial, our feature's input will include the sketched path, but in future tutorials, we improve this interface so that we can create a pair of slots with just two selections. Update everywhere: Each instance of a "Slot" feature points to the same feature definition, so each time we improve our slot feature, every instance in the document is immediately updated. When using features from a different document, a user can update by repointing their document to any published version of the feature. Error handling: When invalid inputs are entered, errors can be reported to help diagnose what's wrong. With this workflow, the end user will immediately see if they've made a slot that won't fit, or won't laser cut: reported errors will turn a feature red in the feature tree. Quality assurance: Your features will have more knowledge about their purpose than generic Onshape features, so their specific edge cases can be handled better. This, in combination with error handling, can mean the end user is less likely to make mistakes. This video shows the creation of the slot feature. It demonstrates what a FeatureScript workflow can look like, and creates the same "Slot" feature type that the tutorial will guide you through below. This guide will take you step by step through the actions shown in the video above, explaining what the FeatureScript does and why. Major FeatureScript concepts will be marked in bold when they are explained. Green indicates that this code should be inserted into the Feature Studio. Red indicates that this code should be deleted from the Feature Studio. Yellow indicates that this code should be changed. The newly changed code is highlighted. Blue indicates that this code is unchanged or final. A Feature Studio is a place for editing FeatureScript where you can define functions to be used as feature types. All of Onshape's native feature types, from extrude to helix, are also written as FeatureScript feature types in the Onshape Standard Library. 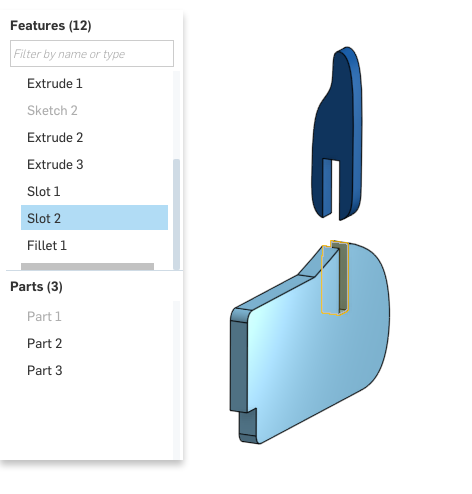 Custom feature types that you write here will be treated like Onshape feature types in the Part Studio. In the Feature Studio, in the top-left corner, click the "New feature" button. For more information about the structure and pieces of a feature definition, see Writing features. Moving your cursor outside a region (with the mouse or arrow keys) will also dismiss all autocomplete regions. After pressing the "New feature" button, you should see the text "My Feature" highlighted. This field is a string which defines the user-visible name of the feature type. This name is seen when a user inserts the feature, and in default feature names (e.g. "Extrude 1"). The feature type name can include whitespace, and can be changed at any time without affecting Part Studios' behavior or other FeatureScript code. Select the text myFeature on the next line (with autocomplete regions, you can press tab to select the next field). This is the FeatureScript name of this feature function. The function name is used by any FeatureScript calls that create this feature, including features created in the Part Studio. Thus, changing this name after creating features will break all features created with the old name. This name cannot include whitespace or special characters. Select the next region: "// Define the parameters of the feature type". This section of code, between the two curly braces, is the function's precondition. The precondition is used, in part, to define a feature's input parameters. The text highlighted is a comment, which does not affect FeatureScript evaluation. Our feature's first input parameter will be an edge which defines the slot path. Input parameters to features are stored in its definition: a map whose keys are strings. These parameters can later be accessed from the definition to define how the feature should be built. All geometry in FeatureScript is passed into features as Queries, so we will define a query parameter. Start typing "query". The autocompletion menu will expand below your cursor as you type. One of the autocompletions you should be able to see is "Query parameter", a snippet of code which, when placed in a feature precondition, defines a query parameter. The flyout on the right side shows a preview of the text you will autocomplete, along with a short description. Autocomplete will show FeatureScript functions (including features), types, enums, and snippets (i.e. short FeatureScript code templates). The code above represents a feature parameter, which the user will pass into the feature, and FeatureScript code will use. The parameter is defined on the second line, which asserts that the field "parameter" on the definition is a Query for geometry. The first line is an annotation, associated with the line that defines the parameter. The information in this annotation indicates how Onshape should create an entry for this parameter in the feature dialog. After inserting the Query parameter autocompletion, you should see the text "My Query" highlighted. This is the user-visible name of the parameter. Query parameter names are visible in the feature dialog when the field is empty. Select the next region: "EntityType.FACE". This field represents a filter that controls which geometric entities can be accepted by the parameter. You can filter by EntityType, GeometryType, BodyType, and more. Select the next region: "1". This field represents the maximum number of selections the user can make in this field. This field can also be removed to allow infinite selections. Select the next region: "parameter". This is the FeatureScript-visible name of this parameter, which will later be used to access this parameter within the function's body. The value of this parameter is stored as a Query on a map named "definition". The second parameter will define the part to cut. Since this parameter will also take in model geometry, we will use another query parameter. 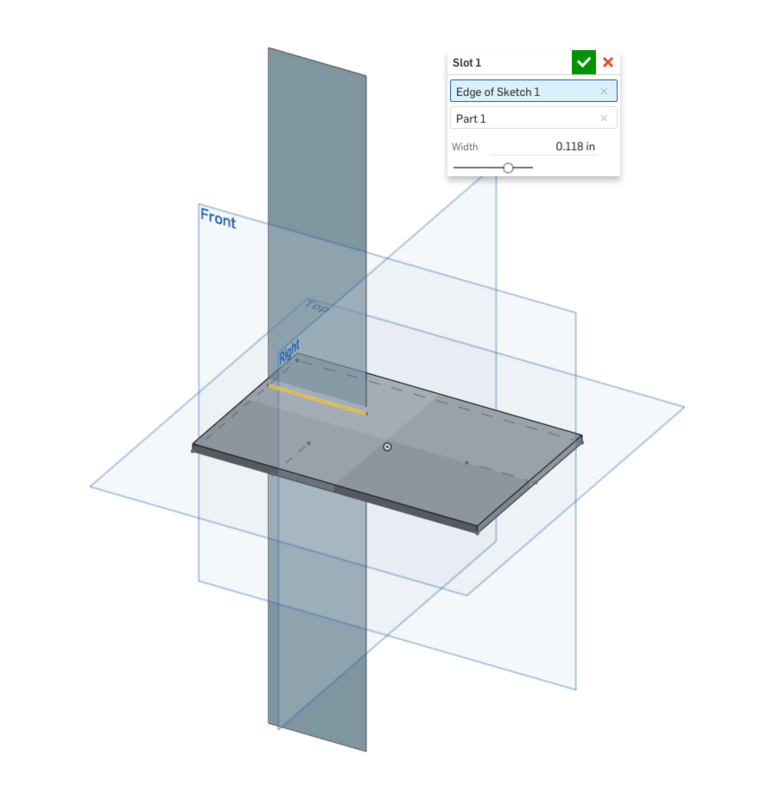 The filter above specifies that a user can select any full part in the Part Studio to use for this parameter. Any selectable piece of topology in Onshape (edges, vertices, parts, etc.) is known as an entity. Every entity has an EntityType and a BodyType which specify what kind of geometry it represents. A child entity will have a BodyType which matches dimension of its owner body. The final feature parameter will define the width of the slot. Since this parameter is a one-dimensional distance, we will use a length parameter. FeatureScript is a whitespace insensitive language. This means that, as long as you aren't breaking up individual words or strings, you can insert or remove spaces and newlines anywhere without affecting the meaning. The FeatureScript you write is always being saved in the cloud, just like other Onshape tabs. However, because code is usually not sensible as it's being typed, FeatureScript changes are not immediately visible to other tabs. For this, you will need to commit your changes. You can think of "commit" as "Update the whole document with these changes". Once changes to a Feature Studio are committed, Part Studios which depend on that Feature Studio will regenerate when you switch to them. If this causes run-time errors, those errors will appear in the FeatureScript notices flyout at this point. If you close a browser tab with uncommitted changes, nothing is lost. You'll still see these uncommitted changes in the Feature Studio when you return. You should see a new icon in the toolbar for your new custom "Slot" feature. This dropdown menu will show all the custom feature types defined in this workspace. The name "Slot" seen here comes from the "Feature Type Name" you defined in the Feature Studio earlier. The icon for the feature is created automatically with the first two letter of that name. As input to your feature, choose an internal edge for the slot, choose the extruded part as the part to cut, and set the width to "3mm". When selecting the slot path, only edges are selectable. When selecting the part to cut, only solid bodies are selectable. This is the effect of setting the "Filter" field on the two query parameters. The feature you created currently has no effect because the body of the feature function is empty. A feature function body is a block of code which will execute for each feature of this type, every time a Part Studio is regenerated. Subtract the result from the part to cut. Because these operations are wholly contained within the Slot feature, the end user will not see these operations in their feature tree: just a single feature named e.g. "Slot 1". The feature will also clean up after itself, so the end user will never see any intermediate geometry created. Switch back to the Feature Studio. In the feature's body (between the second pair of braces), there should still be a comment saying "// Define the function's action". The first operation will extrude the sketch edge. In the feature's body, type "opExtrude", and select the autocompletion for the opExtrude function. Functions in the standard library with the "op" prefix are operations. These functions all perform some change to the context which modifies its geometry. Often, there will also be a feature function which calls the operation (in the case of extruding, the extrude feature calls the opExtrude function). The feature is wrapper which provides a nice Part Studio interface on top of that operation, sometimes with additional operations (for instance, the extrude includes additional parameters to optionally add a boolean and a draft). In FeatureScript, it's often a better idea to call the operation directly. After insertion, you should see the parameter "context" highlighted. This is the Context, a data structure which contains all geometry in the Part Studio. Almost always, your features will involve a single Context named "context", passed in from the Part Studio. 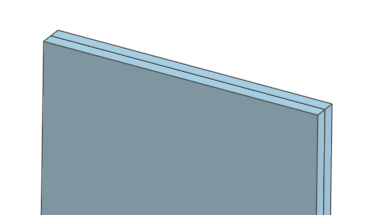 Here, we pass it on to the extrude function so that extrude can create geometry in the Part Studio. The default autocompletion of "context" makes sense, so leave it. With the tab key or the mouse, select the next parameter: id + "extrude1". This is the Id, a unique identifier for the extrude operation being performed. The default Id is already unique and descriptive, so leave it. An Id is a hierarchical identifier for a specific operation or feature. When the Part Studio creates a slot feature, a unique Id, named "id", is passed in. Each slot feature created will have a different unique id. The expression id + "extrude1" creates a sub-id of this feature's id. We use the sub-id to label this specific invocation of the extrude feature. Thus, each instance of a slot will contain an instance of an extrude, all labeled uniquely (idForSlot1 + "extrude1", idForSlot2 + "extrude1", etc.). As we will see soon, any Id can be used in a later operation to specify the geometry created by the feature or operation with that id. This will include any geometry created by sub-ids. Select the text next to the "entities" field. This field defines what geometry should be extruded. We want to extrude the sketch edge passed in. This edge is stored on on the definition as slotPath, as we defined in the precondition. Select the text next to the "direction" field. This field defined what direction to extrude in. 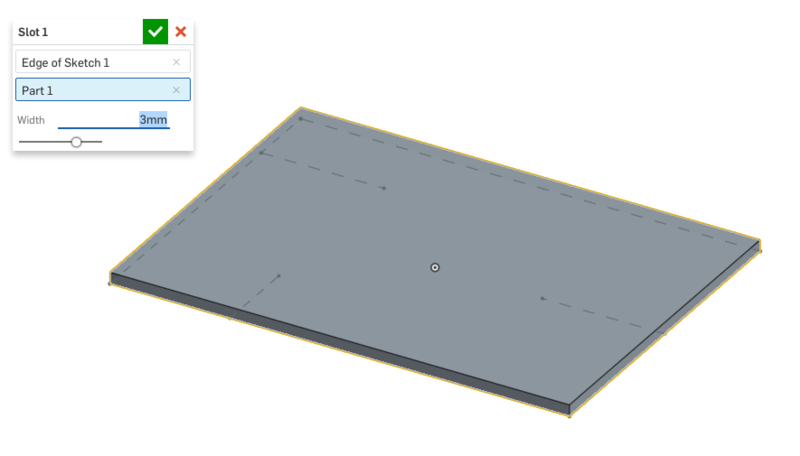 We want this feature to extrude the surface perpendicular to the sketch normal. The default autocompletion makes a call to the evOwnerSketchPlane get the correct direction vector. We want to do the same, but instead evaluate the owner sketch of the slotPath. Functions from the standard library with the "ev" prefix are evaluations. These functions all obtain data and/or measurements from the entities inside a context. The result of an evaluation function is a value which can be used in subsequent calculations. For instance, evOwnerSketchPlane returns a value with type Plane. A Plane has the information define its position and orientation in 3D space, including a 3D unit Vector defining the plane's normal direction. Above, we use this normal field above as the extrude direction. Press tab to select the text next to the "endBound" field. This field specifies a BoundingType: one of BLIND, SYMMETRIC, THROUGH_ALL, etc. Press tab to select the text next to the "depth" field. Since we've chosen a THROUGH_ALL extrude, this field isn't necessary. In its place, we will specify that the start bound of the extrude should also be THROUGH_ALL. This addition gives us some extra robustness in making sure the slot cuts properly. In the one instance we've made in a Part Studio, we defined the slot sketch on the bottom surface of the part, so the sketch normal points directly into the part. However, we want this feature to still work if a user puts a sketch on the top surface, or in the center, or even off of the part. Press the commit button. At this point, your FeatureScript notices panel should be free of errors. The next operation will thicken the surface to the slot width. For this operation, the context should be left as "context", as usual. The Id default of "id + "thicken1"" is unique and descriptive, so leave that too. A Query, like qCreatedBy, is a way to refer to topological entities (vertices, edges, faces, and bodies) in FeatureScript. You can think of a query as an order form for entities, with one or more criteria that the specified entities must satisfy. The query itself does not contain the entities. Rather a query specifies a set of entities in a context (remember: the context contains all the geometry). When you pass a query into an operation function, that function uses the query and the context to perform the operation on the right entities. Other examples of queries are the two query parameters you've defined: slotPath and partToCut. 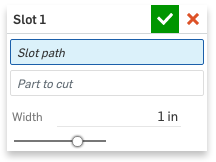 These queries are generated automatically when a user selects entities, and stored in the fields definition.slotPath and definition.partToCut. The generated queries refer to the selected entities in a robust way so that features can be resistant to upstream changes. 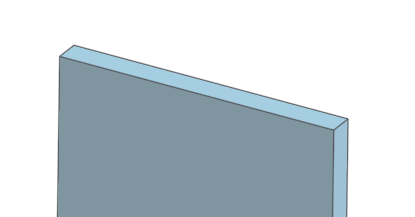 For instance, if a user selects an edge on the cap face of an extrude, then later flips the direction of that extrude, they'll find the downstream feature now has the same edge selected on the opposite side of the extrude, as expected. A query may evaluate to zero, one, or many entities. To see all the queries FeatureScript has available, refer to the Query module. Press the commit button. In your Part Studio, you should see the thickened surface: a new solid body in your Context. "tools", the parts to subtract, should be the result of the Thicken operation: "qCreatedBy(id + "thicken1", EntityType.BODY)"
"targets", the parts to be cut, should be set to the part set on the definition: "definition.partToCut"
"operationType", the boolean operation to perform, should be "BooleanOperationType.SUBTRACTION"
Congratulations! You've just completed your first FeatureScript feature. Feel free to play around with the feature. The slot feature function will be called again (i.e. regenerated) every time you change a slot feature's parameters, or change a feature upstream of a slot feature in the feature tree. 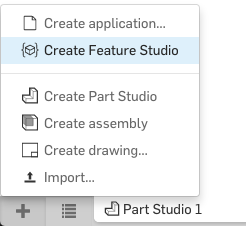 After you update a Feature Studio and commit your changes, dependent Part Studios will also be regenerated. Try creating test cases for this feature. Where does the feature succeed? Where does it not do what you expect? How could the design be improved? In the next tutorials, we will cover more FeatureScript topics while refactoring the way our slot feature is created and improving its behavior. Included here is the final code written in this tutorial. Note that your FeatureScript version and Onshape Standard Library version may be different.